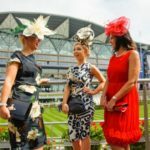 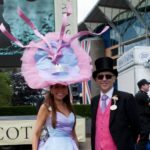 On the brightest days of June each year, one of the most prestigious events in the UK takes place at the Ascot Racecourse. 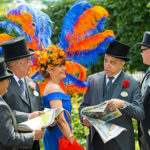 Just an hour west of the bustling metropolitan city of London, those who appreciate refined fashion and horse racing come together in this oasis of entertainment and haute couture. 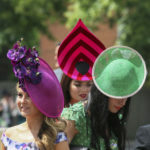 Commencing in 1711, the event is as known for its attendees and fashionable attire as it is for its sport. 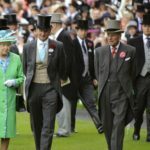 The popular event is highly notable on the social calendar of the Queen Elizabeth II, who attends each year along with other members of the royal family. 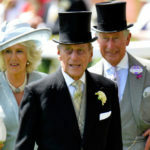 Royalty gather along with other members of the elite class in the Royal Enclosure, the only one of the three enclosures which is by invitation only. 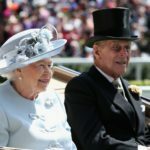 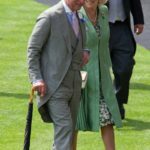 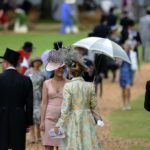 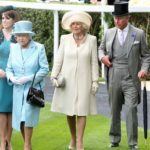 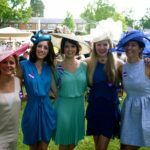 Others can enjoy the event from either the Grandstand or the Silver Ring where they have marvellous upfront views of the royal procession, the parades, and the races. 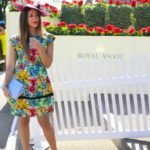 I had the pleasure of participating from the Grandstand enclosure this past year. 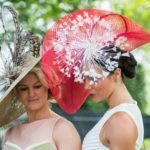 With my sky blue pillbox hat and floral shaped fascinator that I designed for myself to match the conservative summer dress that I bought earlier this spring, I arrived at the scene where many years of millinery fashion have been showcased throughout the years. 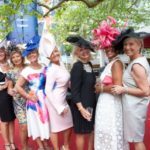 I had booked an afternoon tea at the Queen Anne Lawns before the races began so I could mingle with other socialites who might be happy to share their day with me. 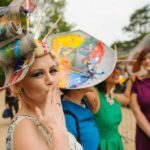 The joyful tea chatter set against the preparation and anticipation for the races was an incredible juxtaposition that both set the mood and defined the day for me. 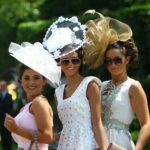 Throughout the day, I encountered wonderful people who gladly shared their experiences and knowledge about horse racing, changing trends in hat culture, and even culinary tips. 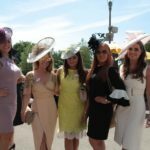 Some took me to the front lines and had me cheering with them for the horses, while others invited me to join them afterwards in the daily tradition of song at the Bandstand. 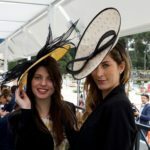 While some might see it as just a horse race for the elite wearing fancy hats, I finished the day with a number of cherished new friends with whom I bonded over our unique passion for head fashion and entertainment.